No matter what you want to showcase—presentations, photos, artwork, awards, blueprints, safety guidelines and so much more—nothing works better than our legendary Multiplex System 8000 Swinging Panel Displays. These space-saving displays let you feature a large amount of materials just about anywhere! And sturdy steel construction provides years of use. 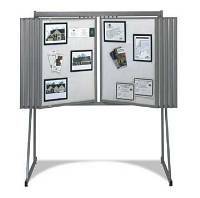 Available in freestanding floor models or wall-mounted designs, System 8000 offers three sizes of panels: 24"W x 36"H, 30"W x 40"H or 40"W x 48"H. “Open access” panels permit quick, easy postings and updates, and come in economical vinyl tackboard or attractive loop fabric surfaces. 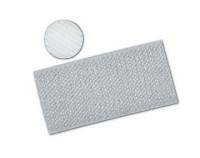 “Protected” panels have clear Multiglas™ covers and are offered in white mat board or loop fabric surfaces. System 8000 displays accommodate 10 or 20 two-sided panels. Metal parts are finished in light gray or beige. Straight Line models provide a 90-degree viewing angle; Full-Vue models open a wide 170 degrees. Space requirements for the System 8000 varies. The Straight Line Floor Display is 81"W x 74"H, while the Straight Line Wall Unit is 81"W. The extra panel space requirements for the Straight Line Floor Displays and Straight Line Wall Units is 41" in width, plus 2/3 width of the panel at each end and height of 74". The Full-Vue Wall Units is twice the panel width plus 11". 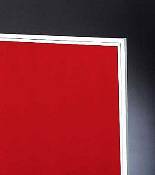 In Stock System 8000 displays feature our most popular panel size: 30"W x 40"H. For additional sizes, frame colors and display surfaces, browse our Expanded Options below.